The Sir Jack Lyons Charitable Trust Student Film Prize is awarded annually to two students from Jerusalem film schools. Selected by a jury, the winners receive a monetary prize and the opportunity to present their films and meet industry professionals in Canada. This year, Shadi Habib Allah and Alex Klexber are coming to Vancouver and Toronto with their award-winning short films. 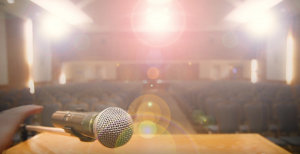 The event Celebrate Jerusalem, hosted by the Jerusalem Foundation with the Vancouver Jewish Film Centre, will take place at Congregation Beth Israel on May 8, 7 p.m. It will feature the screening of Habib Allah’s The Fifth Season and Klexber’s HaYarkon Street and a Q&A with both filmmakers. It will also feature the screening of Avi Nesher’s The Wonders, a “mystery, comedy, psychological thriller, political intrigue and romance” all rolled into one. Born in Nazareth, Habib Allah received his bachelor’s from the Jordan University of Science and Technology, where he studied architecture. 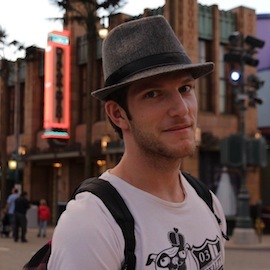 He began his studies at the Sam Spiegel Film and TV School in 2015, and the 15-minute The Fifth Season is his first-year film. 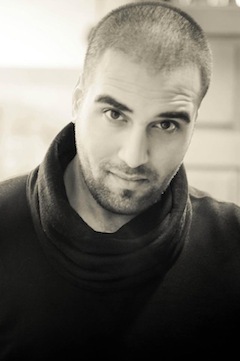 In it, Palestinian writer and teacher Ziad Khadash wants his charges to know what freedom – physical and intellectual – feels like. At first, Khadash just wants his class to be over; he has lost his enthusiasm for teaching. He asks his students at Amin al-Husseini boys school in Ramallah to write about the difference between summer and winter, not really caring what the assignment might bring. But, for whatever reason, when a student asks why there are only four seasons, not five, Khadash becomes inspired. Khadash is an odd bird – for example, he doesn’t believe in marriage, as it leaves no room for the imagination – but he seems like a good person, a positive role model for his students. About The Fifth Season, the Lyons film prize jury wrote, “The film brings to the screen a teacher and educator with a unique educational approach, which the director manages to translate into a complex and rich cinematic language. Effective editing weaves together narration with staged and illustrative scenes that represent the film’s protagonist, who wishes to release his students from the shackles of reality and thought, using unlimited imagination. Childhood is also the focus of Klexber’s four-minute film HaYarkon Street. Born in Ukraine, Klexber is now a fourth-year animation student at the Bezalel Academy of Arts and Design. He moved with his parents to Israel at the age of 6 and grew up in Rishon Lezion, south of Tel Aviv. His short film recalls his younger days – with images drawn both from his memory and from his artwork of those early years. With animation and other techniques, Klexber tries to recreate the HaYarkon Street neighbourhood of old, and it is both fun and touching to watch. Viewers will most certainly remember their own youthful sketches and wonder from where some of those ideas came. 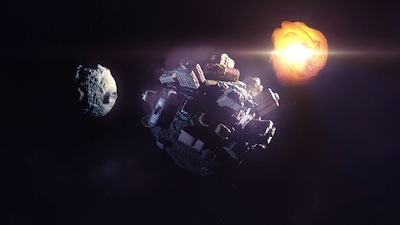 “Klexber’s short film movingly combines the world of imagination and reality,” wrote the film prize judges. “He manages in a few minutes to create a unique world, rarely seen in Israeli cinema. With sensitivity and imagination, the director depicts a specific memory of his, but the theme and approach are universal. This is a personal story related to the Israeli experience of immigration and affinity to the place. The simple name given to the film is in fact the basis for a host of memories, ambitions and dreams. Celebrate Jerusalem also features, appropriately, a film that casts the city as one of its main characters, The Wonders. “For me, Jerusalem was a great city for film noir, for something that explored the darkest side of the human experience while trying to reach for the higher element of the human experience,” said Nesher in an interview at London, England’s 2014 Seret film festival, where The Wonders screened. The Wonders ponders the secular – via graffiti artist and bartender Arnav – and the (un)holy – Rabbi Shmaya Knafo, the leader of a cult-like group, who is kidnapped. Among the other characters are “a hard-boiled investigator,” “a gorgeous mystery woman” and Arnav’s former girlfriend. Animation helps bring to life Arnav’s active imagination and the film blurs the lines between fact and fiction. Celebrate Jerusalem is a free event. To register, visit vjff.org/events/event/the-wonders. Two up-and-coming Israeli filmmakers are bringing their films – and themselves – to Vancouver this month. The Sir Jack Lyons Charitable Trust Film Prize event, being presented on May 16 at the Rothstein Theatre by the Jerusalem Foundation of Canada with the Vancouver Jewish Film Centre and Chutzpah!PLUS, will feature a screening retrospective and the 2016 winning films, followed by a question-and-answer period with the Jerusalem filmmakers, Aleeza Chanowitz (Mushkie) and Prague Benbenisty (Blessed). Chanowitz and Benbenisty have presented their films in Jerusalem, and Chanowitz’s Mushkie premièred at this year’s Berlin Film Festival. They started their time in Canada in Montreal, and also presented their work in Toronto. During their stay in Vancouver, the filmmakers will tour Emily Carr University’s 3-D film-capture and virtual reality projects, as well as visit studios. “I’ve had a couple of face-to-face meetings, a ton of phone calls and emails with Nomi Yeshua since mid-November 2015,” said VJFC executive director Robert Albanese about planning the event. Yeshua, who grew up in Vancouver and made aliyah about 25 years ago, heads the Canada Desk of the Jerusalem Foundation. The May 16 event will also celebrate the foundation’s 50th anniversary. “Nomi had the plan to bring the winning filmmakers to Canada and I was totally on board to make this happen,” said Albanese. As for Chutzpah!PLUS, Mary-Louise Albert, who runs the annual Jewish performing arts festival, and Albanese have been running a cooperative series of films for the past two years, so she, too, was on board to co-present, he said. “We’re looking forward to engaging the whole community, especially young adults,” said Albanese. There is no charge to attend the event. At the reception, Yeshua will make a brief introduction, and then attendees will move into the Rothstein. Both Chanowitz and Benbenisty began their studies at the Sam Spiegel Film and Television School in 2012, and wrote and directed their respective films in their third year of study. Chanowitz, who was born in Brooklyn, made aliyah a couple of months after receiving her bachelor’s degree; Benbenisty was born in Tel Aviv. Their films are very different, in part because of their differing geographies. Chanowitz’s Mushkie, which runs just over 12-and-a-half minutes, is a day (or two) in the life of two recent olim (immigrants) from the United States, best friends Mushkie and Sari. 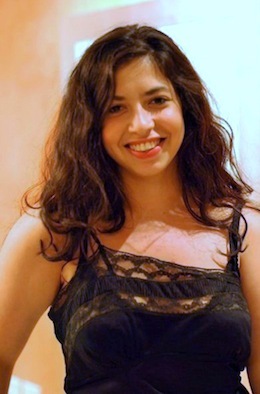 Chanowitz plays the title character, who is secretly exploring life outside of the boundaries of her religious upbringing, and gets into a little trouble while doing so. Chanowitz’s sense of humor shows not only in the film, but in the credits, where she thanks, among many others, her parents, who, she writes, “… I hope will continue to support me, but never see my work.” Given Mushkie’s sexual explicitness, the sentiment is understandable. Benbenisty’s 15-minute Blessed offers viewers a glimpse into Sephardi – specifically Moroccan – culture in Israel. While in the biblical story, it is the younger Jacob who steals older brother Esau’s blessing from their father, in Blessed, it is the older, overlooked and unmarried sister, Zohara, who steals – at least initially – from her soon-to-be married younger sister the blessing that is given to all brides before their wedding day. The blessing gives Zohara the ability to see the love that has always been around her, and changes not only her relationship with her sister, but herself. And there is more to this short film. In attempting to catch Zohara’s attentions, a shy but determined suitor recites to her a poem, “Zohra Al Fassiya,” by Erez Biton. Al Fassiya (1905-1994) was a well-known and popular Jewish Moroccan singer who, when she had to leave her home country, emigrated to Israel in 1962. She fell into anonymity and represents the negation of Sephardi culture by the Ashkenazi majority in Israel until recent years. That Blessed’s Zohara hears and is affected by this poem adds significant meaning to this short film. The Sir Jack Lyons Charitable Trust Film Prize event starts at 7 p.m. on May 16 in the Zack Gallery. Starting with just two classes in 1998 – a kindergarten and a Grade 1 class – Hand in Hand now has five schools throughout Israel, serving 1,200 students. Hand in Hand is the brainchild of Lee Gordon and Amin Kalaf. Gordon grew up in Portland, Ore., before making aliyah; he lived in Israel for 20 years, returning to the United States a few years ago. Kalaf grew up in a small village near Afula and now lives in Jerusalem. They founded Hand in Hand in 1997, with the goal of creating integrated schools wherein both Arab and Jewish kids could study together in a bilingual (Hebrew and Arabic) framework within the public school system. 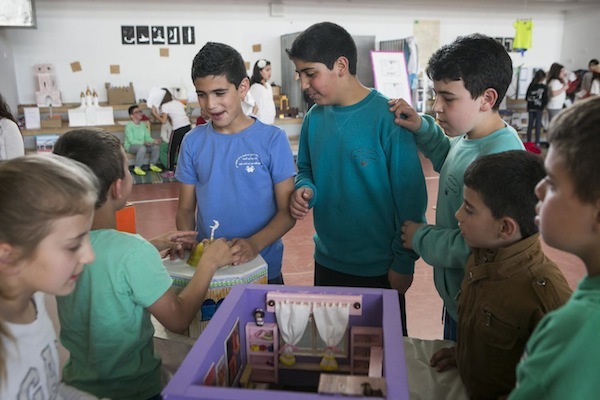 The concept involves both improving the quality of education and being a model for partnership between Jewish and Arab citizens, as well as the public and private sectors. “We have mayors in the various towns supporting our projects and giving us buildings to use and some funding … so, it’s a public-private partnership,” said Gordon. “There is public funding from Israel and also a lot of private philanthropic support [from] around the world,” he said, referring to the United States, Canada, Europe and, of course, Israel. When Gordon moved back to the United States, he created (and heads) American Friends of Hand in Hand, a nonprofit fundraising organization. Two years ago, Hand in Hand added another component to the organization. “We’ve been doing a community initiative, which we call Shared Communities, in which we’re working to build relationships between Jewish and Arab adults, not just kids,” said Gordon. Today, there is a whole range of programs for adults, including language classes, holiday celebrations, discussion groups and a men’s basketball team. “We probably have about 3,000 adults in programs around each of our schools,” said Gordon. “Sometimes, the programs are at the schools in the evenings, or in other places. At the schools, Hand in Hand works toward keeping the numbers balanced between Arabs and Jews, and between boys and girls. “These are the main prerequisites,” said Gordon. “Earlier on, we had more Arabs than Jews. Now, we have waiting lists on both sides, though there’s a larger waiting list on the Arab side. Gordon spoke of the schools’ broad reach. “You can have an Arab friend the same way you can have a Jewish friend,” he said. “It can help you in the workplace, academia or your social life, and I think that’s a direct impact of Hand in Hand…. From the very beginning, when a Jewish child was invited to an Arab’s home for a birthday party, this involved the parents taking that child in and they’d meet each other. So, there are a lot of friendships happening beyond the walls of the schools … and sometimes the parents’ friendships were long-lasting, even if the children changed friends…. And the families aren’t just the parents. They are uncles, aunts, sister, brothers, cousins…. People hear about it and are impacted. 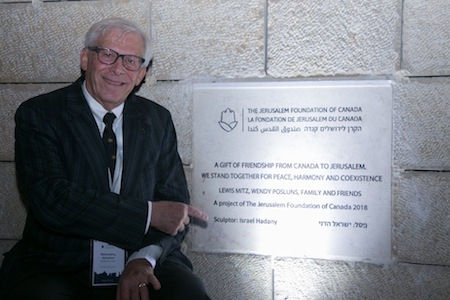 Canadians can make a tax-deductible donation to Hand in Hand via the Jerusalem Foundation of Canada, with which it has a partnership. “Our goal is to bring this model to as many places as there is interest and to work with populations to help them build a model school in the community,” said Gordon. For more information, visit handinhandk12.org.